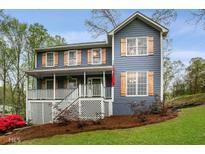 Below you can view all the homes for sale in the Oak Creek Estates subdivision located in Marietta Georgia. 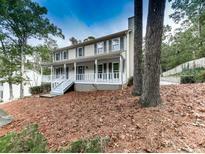 Listings in Oak Creek Estates are updated daily from data we receive from the Atlanta multiple listing service. To learn more about any of these homes or to receive custom notifications when a new property is listed for sale in Oak Creek Estates, give us a call at 404-998-4102. Home Sits Atop A Private 1/2 Acre Lot In An Established John Wieland Swim/Tennis Community. MLS#8561951. Keller Williams Realty. Home Sits Atop A Private 1/2 Acre Lot In An Established John Wieland Swim/Tennis Community. MLS#6531793. Keller Williams Rlty-Ptree Rd. Highly Rated Cobb School System. It Is A Must See! MLS#6531867. Drake Realty Of Ga, Inc..
Also, Large Shed In The Back Of The Property Perfect For Extra Storage. MLS#6084139. Keller Williams Realty Partners.